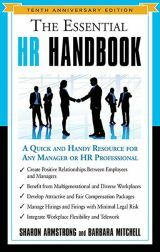 August 30 2010 - What makes the best in HR really the best? Human resources is a complex, multifaceted field that requires professionals to have the ability to juggle priorities and excel at a number of tasks-from the sometimes tedious to the often strategic. It takes knowing what to hone in on and what to delegate, staying on top of the latest trends in compensation and always having a finger on the pulse of employee relations. And, often, with so many misconceptions about HR, it involves staying ahead of the curve through continuous education in an attempt to drive what the role will entail for the company. Being in HR requires having a number of talents and is not for the faint of heart. The role brings with it the potential to make a big impact on the lives of individuals working for the company-its most important assets-and, simultaneously, can leave managers feeling less than appreciated, when contributions to the bottom line are questioned. Perceptions of HR as a cost center and others, explained below, are just a few of the myths that often surround HR and can prevent practitioners and companies from getting the most from this important role. The view of HR as a cost center may be one of the hardest to overcome. How executives view the HR department and its role often plays a huge part in its perception and function, including whether the job is managed in-house to begin with. Frequently HR must take every opportunity to be its own proponent in providing greater education on the value of its offerings. 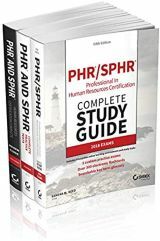 Other companies realize that HR managers contribute more directly in taking care of their most valuable assets, handling a range of responsibilities, including: recruiting; interviewing; providing, presenting, and delivering medical, dental, vision, life, and other ancillary benefits; job training; instituting programs for retention and growth of employees; establishing tools and guidance for management reviews; and reviewing and selecting technology to support HR functions, to name a few. Each of these, in fact, contributes greatly to the bottom line when all hard and soft costs of doing business are considered. Group benefits, for instance, are a major part of the compensation employers offer to entice and retain productive and reliable employees and maintain the organization's competitive nature. The methods by which these compensation elements are derived and presented are key to a company's success. In retaining good employees, companies can save thousands, if not more, in rehiring and training costs. HR must be prepared to justify its case with a strong knowledge of its employee base and a rationalization of these types of obvious and not so obvious costs. Whether dictated by management, assumed by the practitioner, a function of "fighting fires" on a daily basis, or a combination of the above, HR's role in the organization is all too often tactical over strategic, often to the dissatisfaction of practitioners themselves. This point is illustrated by USC Professor Edward E. Lawler III, who noted that HR professionals reported spending only 23% of their time in 2005 "being a strategic business partner" - no more than they reported in 1995. And line managers, he found, said HR is far less involved in strategy than HR thinks it is. Though company culture often sets the stage, HR practitioners must actively seek key areas for improvement for themselves, their roles and for the company and take action to defend their role where possible. If employees and executives are guilty of downplaying HR's role, often so too is HR in assessing employees' ability to manage information. Computers first appeared in schools over 12 years ago and today are used by 75 percent of Americans to access the Internet for three hours a day on average. Still, many in HR are reluctant to give up basic self-service benefit management tasks that would save a tremendous amount of time and allow them to better address company objectives. While it is true that online benefits management can be a scary prospect for those who may be less computer savvy, having access to employee benefits online is another way to provide greater employee satisfaction through accessibility and choice. In fact, many employees will expect online access, especially today's younger generation for whom iPods and IM are part of everyday life. Self-service HR has become so invaluable that a September 2006 Forrester Research report termed it "an essential core application" for businesses. 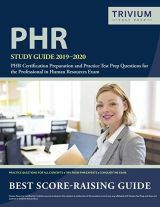 The report pointed to the ability of Human Resource Management Systems (HRMS) to help manage personnel costs, operate efficient business processes, comply with regulations and manage legal exposures, and optimize the value of human capital. Another way that HR can heighten its role and increase strategic input is by using technology to better access, manage, and report on information. But, as with any industry, it is hard to cut through the clutter and hype surrounding proposed solutions to select the best technology to meet organizational needs. Though one provider may declare it offers self-service capabilities, for instance, it may not be the same level needed or offered by others, providing disappointing results. For an HR manager that has met with false promises in the past, doing the homework on proposed solutions is even more important. Offer 24-hour service from a direct contact that can help. In conclusion, though managing human resources is certainly not without its challenges, perhaps individuals are drawn to this role in the first place because of "the challenge" and the opportunity to make a difference at companies and in the lives of individuals. Frequently, HR managers can accomplish more and further prove their worth to the company by relying more heavily on employees and technology that can help them to focus on the most important issues. Art Brooks is vice president of BeneTrac, a Paychex company and provider of powerful, web-based electronic enrollment and employee benefits administration software online at www.BeneTrac.com. The company has relationships with over 400 carriers and providers and is used to manage the benefits of hundreds of thousands of members in about 900 groups.